Are Manchester United making a move for Gabriel Barbosa this summer? Manchester United manager Jose Mourinho has already signed Eric Bailly, Zlatan Ibrahimovic, Henrikh Mkhitaryan and Paul Pogba this summer, with Jose Fonte reportedly on the Portuguese manager hit list, now come reports that talented Brazilian Gabriel Barbosa now being linked to the Old Trafford club in a £30 million transfer. The 19-year-old has been linked to Premier League champions Leicester City for much of the summer, with Claudio Ranieri’s side seemingly not getting the deal across the line, hence the links to Manchester United now. Either Jose Mourinho is interested in the Brazilian, after seeing Bayern Munich sign Portuguese talent Renato Sanches and Manchester City sign Gabriel Jesus, a player once linked to United, this summer. It only seems to be The Sun carrying reports of this deal, of which I (among many) am dubious of. Many other news sources have reported this, citing The Sun as their source, which seems to be another ‘world exclusive’ by Britain’s highly unreliable newspaper. Both Inter Milan, Juventus, Bayern Munich, and Atletico Madrid were interested in the young Brazilian, but the player himself wanted to play in the Premier League with Leicester City the only team in for him at the time, which seemed to make the current champions think they had landed their man. The Sun state that Jose Mourinho is now in pole position to sign the young Brazilian, with the newspaper putting 48 hours on the deal, which is now into its final 24 hours, being this was reported late on Monday evening. The Sun state that United are willing to pay £30 million for Barbosa, which will blow away the reigning Premier League champions. The reports could well be true for all we know, but putting a timescale on a transfer is not the best thing to do as they tend to expire with nothing happening. The main thing not mentioned is that Barbosa himself will be playing for Brazil in the Olympics in their semi-final against Honduras, with Hungary due to face Germany later on Wednesday. The Sun state that United will be looking for a backup for Zlatan Ibrahimovic this summer, but they seem to be missing out on the fact that Marcus Rashford is at the club and will be used as the backup. He is young and relatively inexperienced, but Barbosa is in the same boat and also lacking Premier League experience, something Rashford has experienced since late February. This report now seems to lose some credibility. 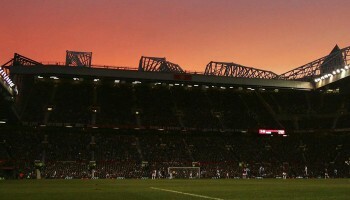 United will reportedly pay Santos £26 million for the player, with a further £4 million being paid to the player’s agent. Leicester City boss Claudio Ranieri was expected to smash the club’s transfer record to sign Barbosa, who is likened to Neymar in his native Brazil. The Sun state that when the player found out that interest from Manchester United was serious, be had made his mind up, which if true would be a shock to many clubs who seem to think the lure that United once had was now gone. Santos president Modesto Roma has reportedly held talks in London with Premier League clubs, also holding talks in Madrid with Atletico. United reportedly were out of the race to sign Barbosa after the president dug his heels in and rejected United’s proposal to pay the fee in four instalments, but now Manchester United executive vice-chairman Ed Woodward is willing to meet Santos halfway in order to get the deal across the line. The next fortnight will see if there is anything in this or not. With the football tournament at the Olympics coming to an end on Saturday, United, if interested in the player at all, will be able to close a deal. If nothing happens, it would be clear that this was just another Sun exclusive which bared no bones. Jose Fonte: Just what could he offer Manchester United? Press Conference: Pogba fit to face Southampton; maybe more signings on the way!